Why Should You Get An Android TV Box? 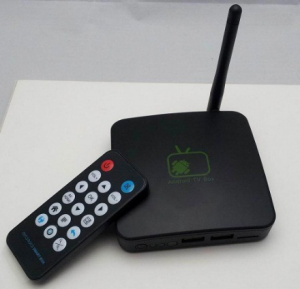 There is hardly a hard definition for the term Android TV Box; however, an Android TV Box can be defined as a small device that turns your TV into an Android Smart TV, the moment you connect it to your TV. Basically, the term Android TV Box is not official, and is used to refer to the device, because an Android TV Box looks like a small box. Most of the boxes are not even over 5 inches wide and 2 inches tall, and a few are in fact much smaller than that. Thinking of buying an Android TV Box? Here are a few strong reasons why you should do the same. Getting an Android TV Box eradicates the need to purchase a complete new TV set, considering that all you require doing is connect the AV or HDMI cables, and have the box all fired up. In addition, installing an Android TV Box is extremely easy and cost efficient. The solution apparently costs not more than $100 as opposed to a new TV set that costs nearly $2000. Gearbest.com is one of the E-commerce website where you can find Android TV box at good the reasonable cost. 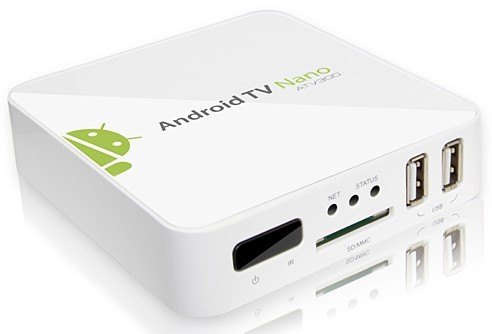 An Android TV Box rejuvenates your whole TV experience. Whether you want to watch videos on YouTube or you want to access Facebook, you certainly get everything done from the comfort of your sofa. With the TV box, you are able to download and enjoy music, games, apps, movies, and many more anytime you want. Also, there are other numerous possibilities: you can download a movie from the Google play store, look at what YouTube is suggesting you, or just fire up the IMDB app while resting in your living room. Most Android TV Boxes come with one or more Wi-Fi antennas, which guarantee a great Wi-Fi signal all through the house, thereby increasing download speeds. At present, many Android TV Boxes pack a built-in microphone and camera that are responsible for making the TV boxes an ideal source for video chatting. You can begin by installing the Skype app and calling your peers from your living room. In terms of hardware, there is every possible combination that you can get in Android TV Boxes ranging from budget friendly Single Core processors over the enhanced Dual Core CPU’s to the unparalleled Quad Core powered devices. You can definitely find the one that suits your requirements the best in the broad range of available TV boxes. Presently, a majority of Android TV Boxes come with a handy remote controller and enable the connection of a keyboard combo, a wireless mouse, or even an air mouse for ultra-intuitive navigation in a few cases. Here are more TV box that you should take a look at just now. An Android TV Box caters to everyone’s needs in one way or the other, since everyone would like to have their regular TV converted into an Android smart TV. And especially for someone with a desire to customize and tweak for fun, it might be just a dead-on choice.